The Pendoring Awards were held this weekend and once again our students have done us very proud! We ended the evening with 3 Silvers! A huge well done to all of our students who submitted and made it to the finalist round, as well as the eventual winners – is there any better way to cap off an amazing year? This entry was posted in Academy Work and tagged Pendoring Awards, Stellenbosch Academy, Student Work on October 31, 2016 by stellenboschacademy. Giuliano Buttafuoco is an Italian illustrator who uses minimalist style and detail and limited line work to bring his wry sense of humour to the fore. Whether his work is social commentary or simply illustrating things that he likes – his sense of style and personal flair is impossible to deny. This entry was posted in Illustration and tagged Giuliano Buttafuoco, Illustration, Linework on October 31, 2016 by stellenboschacademy. We LOVE this work from Leo Burnett Turin. This is such a great example of all of the creative advertising arts at work together. We’ve got a strong benefit that is brought to the fore in a smart way (usually thanks to a copywriter) we’ve got a really clever way of representing that idea (usually thanks to an art director) and then it’s executed absolutely beautifully (usually thanks to an illustrator). You’ll notice we used the word ‘usually’ quite a lot there, because while these are the basic designations of those disciplines – great ideas can often come from anywhere. Here, Leo Burnett was working with the Jeep’s ‘forward collision warning’. It’s a great feature for car, but how do you bring it to life in an interesting, memorable or creative way? You can see the thinking quite clearly – when you’re driving on the road, you never know what could jump in front of you: Nature is unpredictable. We see all the ways in which something could jump in front of your car. But it’s made funny, visually arresting and engaging, thanks to some stellar illustration work. This entry was posted in Art Direction, Illustration on October 28, 2016 by stellenboschacademy. Student Gold Pack Awards – Gold and Bronze! What a good day! We just heard the results of the Student Gold Pack Awards. Lhente Strydom won the overall student gold and was winner of Project 1, while Stephanie Le Roux won an overall student bronze and was named runner up of Project 2. Our finalists who also received certificates of recognition were: Ashton Winkworth, Alida van der Westhuizen and Alexandra Hanson. Well done everyone! Very well deserved! 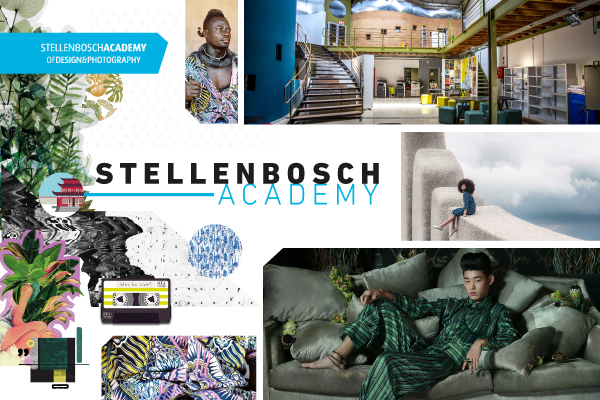 This entry was posted in Academy Work and tagged Awards, Stellenbosch Academy, Student Award, Student Gold Pack Award on October 26, 2016 by stellenboschacademy. We’ve featured Justin Poulter’s work before on the blog. With his illustrations for the Under Armour Steph Curry 2.5 as well as his typography work. Here, we’re sharing a set of stickers he illustrated for the new chat app from Google, Allo. From a designer’s / illustrator’s perspective it’s so interesting to see how illustrations and images that would normally be used for print as spot illustrations (for example) are now finding new homes online as print as a medium becomes more squeezed almost on a daily basis. We’ve always needed to produce images that can represent an idea or make a piece of copy come to life, but in the past this was mostly limited to print. Now that we are living digitally, sharing messages and text with each other all the time – that same need comes to the fore, maybe even more strongly than it did in print. As we all know, it’s incredibly difficult to express yourself properly using just text – that’s how we ended up with emoticons and of course everyone’s favourite: Emoji. The idea of ‘stickers’ for chat applications has recently seen an interesting uptick – now we can not only use ‘faces’ in the form of emoji to illustrate our feelings, we can now use themed stickers to add more oomph to our conversational gambits. Enter Justin Poulter and his work for Allo – no mean feat to plan and illustrate so many different ideas and ways to apply them! This sports-themed pack he illustrated is too much fun – check them out below. This entry was posted in Illustration and tagged Google Allo, Illustration, Justin Poulter on October 26, 2016 by stellenboschacademy. What a fun project from Ogilvy Ukraine! So if you don’t speak Ukrainian the first thing you need to know is what ‘dzyob’ means – it’s Ukrainian for beak, a fun reference to the shape of sunflower seeds. This idea is then fleshed out with a fun bird character that appears on the packaging and in all the marketing collateral. A fun, engaging solution that more often than not in this category (healthy snacks) can often result in somewhat boring design and branding. This entry was posted in Design, Illustration on October 24, 2016 by stellenboschacademy. We’ve just heard that two of our students, Michelle van Sittert and Carel Pretorius have made it into the finalists for the AdFocus Awards in the student category. This ‘student of the year’ award is based off a portfolio of work rather than just a single piece – we’ve shared some of Michelle and Carel’s work here so you can see what they sent in. Well done and good luck! We’re holding thumbs! This entry was posted in Academy Work on October 24, 2016 by stellenboschacademy.